The on-going sagas, or crises, describe things as you will – concerning classic vehicle fraud doesn’t seem to be slowing down in the least. A recent Bloomberg story by Jeremy Kahn, reiterated the wide-spread fraud and counterfeit classic cars. 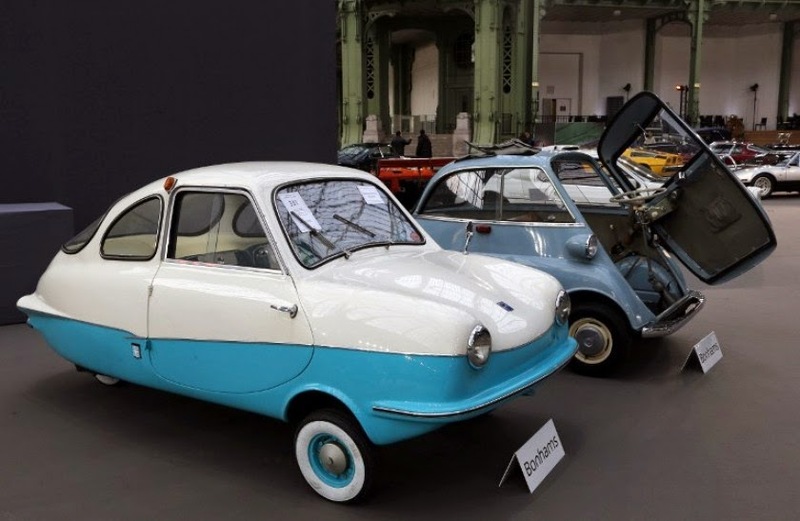 According to Norbert Schroeder of Dusseldorf, Germany, near-perfect counterfeit versions of BMW’s and Mercedes-Benz classic vehicles are appearing for sale and in auction packages. Schroeder works for TUV Rheinland Group, a German technical-testing company, as a vintage-car appraiser and restoration consultant. His specialty is authentication: proving that a classic car is what a dealer or owner says it is - or, increasingly, disproving it. To give you some idea as to the lengths counterfeiters will go, Schroeder claims to know of one gang that went so far as to source 1920’s steel from discarded colonial-era railroad tracks in India to build the chassis of a fake Bugatti, enabling the car to withstand even metallurgical analysis. Not long ago, Garagistry reported of a counterfeiting organization that purchased a Paris movie house to acquire antique leather to reupholster seating. We have also previously reported on unpainted vehicles or parts exposed to the elements for years to mimic the patina of old metal in the hopes of fooling appraisers. 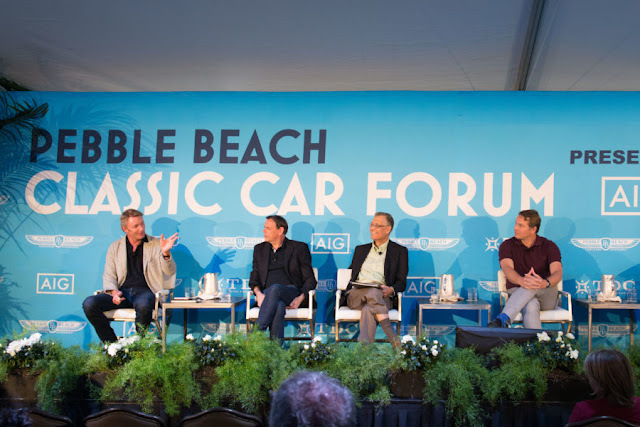 In 2013 alone, classic-car values increased 28%, according to the Luxury Investment Index maintained by London real estate brokerage Knight Frank LLP. Many sought-after models, such as a 1955 Aston Martin DB2/4 or a Ferrari 250 Testarossa, have seen auction prices triple or quadruple during the past decade. As prices have soared, so, too, has the number of fakes. Schroeder had already inspected the BMW 328 in question car once without finding anything amiss. Yet he could feel it in his bones: Something wasn’t right. A car’s coachwork — the distinctive design and shape of its exterior - is what makes it recognizable to a layperson. For an appraiser such as Schroeder, however, the key to identifying a classic car is its chassis. And it was to the BMW’s chassis that Schroeder returned. “I decided to look millimeter by millimeter,” he says. The 328 is a sporty, open-topped racer that Bayerische Motoren Werke AG produced from 1936 to 1940. Modified versions chalked up wins at a number of the era’s pre-eminent European races, including France’s 24 Hours of Le Mans and Italy’s Mille Miglia. Of the 464 produced, only 180 are thought to survive. An original can sell for US$500,000 (RM1.6 million); in 2010, a Mille Miglia winner went for US$5.6 million. Schroeder knew that on an authentic 328, the gearbox attaches to the chassis three centimeters behind the first set of crossbars that create the chassis’ signature ‘A’ shape. The attachment point was exactly where it should be. But as Schroeder felt for the threading used to bolt the gearbox to the chassis, he discovered something strange: It wasn’t there. Instead, the gearbox had been welded in place. “Aha! There is something wrong!” he recalls thinking. Schroeder had just uncovered another fake. 1951 Ferrari 166 F2 While restoration has always been a legitimate part of the vintage-car market, the issue can be devilishly complicated. Recently, Schroeder attended the Techno Classica Essen, one of Europe’s most important vintage-car fairs, where he focuses on a 1951 Ferrari 166 F2. The vehicle, one of just three built, is worth at least €t2 million (US$2.8 million), Schroeder says. That’s because the 166’s chassis is totally original — which isn’t always the case. Schroeder has even come across cars where the left side of the chassis is original and the right-hand side is a reproduction. Before the 1970s, splitting up a race car’s chassis and creating two or more new vehicles around it was not uncommon. As long as part of the chassis is authentic, a car can generally claim to be the genuine article. The issue comes down to transparency — telling a buyer exactly which parts are original and which are restored or new — and the seller’s intent. TWITCHING ANTENNAE “The fraud lies in holding it out to be the real machine when you know it is not,” says Martin Emmison, a lawyer who specializes in collector-car cases at Goodman Derrick LLP, a London firm. Emmison notes that many counterfeits begin life as legitimate replicas before being passed off as originals by unscrupulous dealers. As a rule, Schroeder’s antennae begin to twitch whenever he is confronted with a model he knows is easy to knock off using an authentic but much less expensive chassis from a model of similar vintage. A Ferrari hardtop can be turned into a more desirable Ferrari Cabriolet, and a road car like a 1973 Porsche 911 Carrera can be made to look like a Porsche 911 Carrera RS race car, it’s much more valuable cousin. Uncovering a fake requires an encyclopedic knowledge of classic cars and can turn on the smallest of clues: Schroeder recently discovered a counterfeit Mercedes 300SL Gullwing (the real deal is worth about US$1.2 million) because of a slight aberration in the font used to stamp its vehicle identification number. Also suspect are sellers who are vague on a car’s recent ownership or who claim to have discovered the chassis of a famous race car that has been missing for decades. Back on the floor of the Techno Classica, we are about 10 feet from a red Porsche 356A Speedster selling for close to €1 million ($1,354,000 USD) when Schroeder stops short. I am mid-question, but he extends an index finger to silence me. He stands still and stares. “The car and I, we are talking,” he says. Schroeder estimates that he inspects at least 200 cars a year worldwide and has learned to trust his instincts. He circles the Porsche, drawing ever closer. He frowns. Without scrutinizing the chassis, he says he can’t say anything for sure. So, as with fine art, currency, or jewelry - the skill and craftsmanship used to create an exceptional counterfeit is an art that relies on science. With classic vehicles, science is used to detect the counterfeits.